You can visit jaw-dropping historic homes in National City, including the Frank Kimball house and Brick Row. The Chicano Movement matured and had important roots here. The lowriders have shown off their artistic cars on Highland Avenue. An up-and-coming waterfront includes a great restaurant. Each year, National City hosts the famous Mariachi Festival & Competition and Automobile Heritage Days, among other events. If you haven’t been to Machete’s Beer House, Napoleon’s Pizza or the National City Swap Meet, you’re missing out. In particular, Cafe La Maze hearkens back to the South Bay’s gangster days, with pictures on the walls of famous patrons. If you’re intrigued, consider taking the self-guided “One Perfect Day In National City” tour. Sure, we all want the fun & flair. However, our city representatives help create better livability. To get people into office who care about their community, residents first have to VOTE for them. How does National City match up to other cities when it comes to voter participation? 59,827 people live in National City, according to SANDAG’s 2015 report. In the November 2014 elections, National City had 17,267 registered voters. Of those, 6,354 voted for Mayor (or 36.7% of those registered) and 9,508 voted for city council members (or 55% of those registered) . For this upcoming election, 19,261 people have registered to vote. I sat down with Mike Dalla, the current City Clerk, who is running unopposed in the November elections. He has served in this position for about 20 years. Although many in the National City community say voter participation is low, Dalla explained voter turnout in National City is not bad considering voter turnout for all of San Diego County is 44%. In addition, National City has a large number of people who rent rather than own, mostly due to military members who don’t stay very long before transferring. National City also has a population of over 63% Latino and 18% Asian (mostly Filipino), according to SANDAG’s demographics. The city also has a higher percentage of youth than the rest of the County, including 13% between the ages of 20-24. The median household income in 2009 was $39,398. That means, voters should want to see Council members who adequately represent their concerns. The First United Methodist Church of National City had planned to host a City Council Candidates Forum on Monday, September 26th. They wanted to have a meet-and-greet, allow candidates to give a presentation and then have time for questions & answers. Unfortunately, First United had to cancel the event. They explained only two candidates had responded to the invitation, even though this forum was the only one planned for the entire city. Last week, I emailed & called each candidate. I asked them to answer 5 questions relating to National City. Of the six candidates, Jerry Cano (currently Vice Mayor) and David Garcia did not respond. 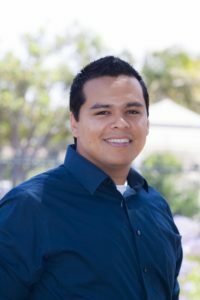 Fortunately, four other candidates agreed to send their answers: Jose Rodriguez, Luis Natividad (former City Councilmember and also endorsed by the San Diego Democratic Party), Candy Morales and Alejandra Sotelo-Solis (currently city council member of National City and endorsed by the San Diego Democratic Party). 1) What are the largest obstacles facing National City today? JOSE RODRIGUEZ: National City is a town with a rich cultural history and residents who take pride in their work and community. This is why my wife (who has been a lifelong resident) and I decided to raise our family here. We can help improve our city by investing in the very people who make this town so great. In one of the most expensive regions in the country, we must raise wages for employees in large businesses. Walmart, Burger King, and McDonalds can afford to invest in our communities more by investing in their workers. There is nothing like pride of ownership, whether it be a small business or a home; this is why I support the National City Chamber of Commerce and their work in facilitating small business development and their support of stronger home ownership within our National City. With only 1 in 3 owner occupied households, there is a belief that it is too difficult to own a home in our community. LUIS NATIVIDAD: There has been poor planning distribution of corporate businesses throughout the city. We need to look at supporting small businesses through strategic planning. The other concern for National City are the existing environmental issues throughout the city. CANDY MORALES: National City is the second oldest city in the County and is not a stranger to overcoming obstacles. Over the recent years National City has undergone numerous changes. However, National City continues to experience challenges like affordable housing, employment opportunities, low civic engagement, aging infrastructure, and high asthma rates due to pollution. Encouraging civic engagement, establishing a modern identity, and promoting a progressive vision that will empower all residents is needed to move National City forward. As of 09/01/16, National City has 19,251 registered voters. Unfortunately, turnout was astronomically low in 2014, with only 6,354 eligible voters showing up to vote for elected officials on election day. Currently, we have the lowest voter turnout in the County and lower than the California voter turnout average. This communicates a poor civic engagement. For example, there has been a disconnect regarding recent major redevelopment decisions made by our elected city officials and community residents input on such issues. National City has many community leaders, organizations, and coalitions working in our communities to increase community engagement. Increasing civic engagement is the city’s responsibility and must place an emphasis on diversity and inclusionary governing. If residents are not coming to us, we need to go to them. We need to encourage our residents to assess community strengths, needs, and make suggestions to our elected officials. We need to not only bring awareness and education to our residents on community development and the importance of voting, but rather include them and empower them to help our city prosper. Prosperous cities understand the connection between cultural diversity, promoting the arts, and city revenues. The arts can generate income that will play an important role in the social and economic revitalization of National City. Cities that once struggled economically are reinventing and rebuilding themselves by investing in art and culture. By creating cultural hubs, nonprofit art businesses and encouraging entrepreneurship, can help cities define themselves, empower its residents, draw tourists, and attract investment. Recent census data indicates about 2/3 of National City residents are Latino. As a predominately Latino community, and high Spanish speaking population, we are highly aware of the how immigration enforcement policies can affect our communities, children and families. Introducing the Welcoming City Ordinance will make National City a national leader in welcoming those who play by the rules, contribute to our economy and help make National City prosperous. Enacting such an ordinance is in alignment with family preservation and overall well-being, as it will prevent undocumented law abiding National City residents from being unfairly detained and deported. This will ensure that National City is a welcoming, culturally diverse and inclusive city. Enlisting police and local governments in enforcing federal civil law affects enforcement resources, and weakens the bonds of trust between police and the communities they serve and protect. Currently medical marijuana is a topic that most cities in the County are paying attention to due to the increase of illegal medical marijuana outlets and the possibility of the legalization of recreational marijuana come November 8th. Medical marijuana has been legal in the state of California since 1996, however local cities, including National City, continue to prohibit the presence of medical marijuana establishments. I am a nonsmoker and take no position on medical or recreational use, however, with recreational marijuana up for legalization at the state level, it is time the city and community members discuss how we as a city want to approach this. Dialogue needs to focus on whether we want to provide resources towards enforcement and/or regulation? ALEJANDRA SOTELO-SOLIS: As a third generation resident, I have seen many opportunities arise from obstacles that our community faces. I am proud to say that I have been able to address two specific challenges which are transforming the way we do business at the city. One of those was the fiscal balance of our City’s budget and the desire for improved civic engagement. Throughout my time on council, I have voted for fiscally sound budgets with priorities for public safety, public amenities and services. I have worked directly with staff to make sure we have diverse community involvement with translation at budget townhalls, providing details on our website and social media and lastly, asking the difficult questions when looking to use taxpayer’s dollar. Through those efforts, there have been many specific improvements at our city parks (Kimball skate park and bathrooms), city streets (8th street cooridor and bike paths throughout) and overall improvement of the image of the city. In addition to my policy and committee work as a Council Member, I am always working to encourage others to apply for committee vacancies as well as to engage our youth through our Police Explorers program. I have also encouraged older adults to participate in our Resident Leadership academies and CERT training. It is through this representation that we will see a varied perspective continue to shape the way we make policy at the city. 2) As City Councilmember, what would you hope to achieve? Raise wages on large businesses to $15 and tie it to cost of living within the San Diego region. Pass a National City ‘Climate Action Plan’ that supports investment in water renewal systems and conservation, mass public transportation funding, renewable energy investments, and more public parks with community gardens throughout our city. Push for a districting process throughout our City. Even though we have an estimated 20% of the population of Filipino descent, no Filipino has been elected to City Hall in 15 years. We must be sure that our democratic institutions reflect the population within our city. Create high paying jobs by assisting current businesses and attracting new ones. Fix and maintain our streets, sidewalks and parks. I hope to achieve an increase of civic engagement and empower our residents in civic matters. Additionally, I also hope to achieve inclusive dialogue in matters affecting community members. Having this type of dialogue will encourage engagement, diversity and different perspectives. 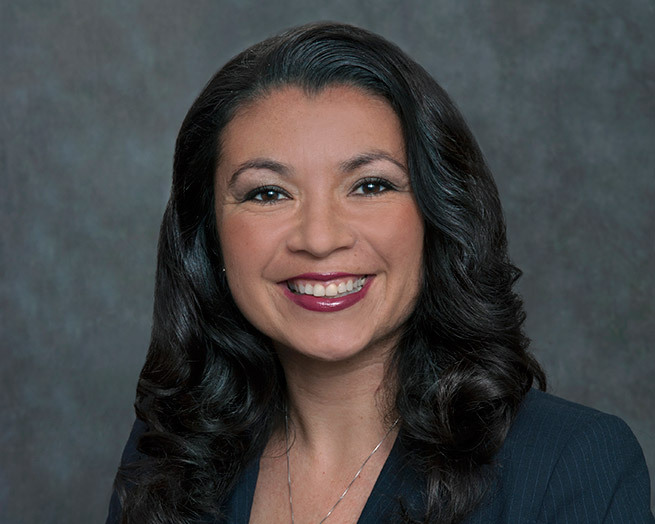 ALEJANDRA SOTELO-SOLIS: I would like to continue to improve my community and leave it a better place for future generations to be able to freely and healthily play, pray, work, shop, live and learn. 3) Are you in favor of the School Bond Measure for National City? Why or why not? JOSE RODRIGUEZ: Yes, I am in favor of updating our schools. However, I strongly disagree with the exclusion of a Project Labor Agreement (PLA) which we know would provide good paying jobs to those workers who would be hired to improve schools in the district. If we are to raise taxes on local homeowners to better our community, we must ensure the money stays local by hiring locally and paying a living wage; both things that PLA’s are meant to ensure. LUIS NATIVIDAD: I am in favor of school bonds with the contingency that there are oversight committees to oversee the expenditures. CANDY MORALES: Yes I am in favor of the school bond measure. The foundation of any community is its children, they are our future. It is our responsibility to cultivate a safe and modern environment for educational growth. I am in support of creating a healthy and safe environment for our children and school staff towards needed upgrades and resources for enhanced education practices that will benefit our children and our teachers. ALEJANDRA SOTELO-SOLIS: Yes. I believe it is important to maintain the best quality classroom settings for both students and staff. As a home owner, it is important for me to know that there are fiscal accountability measures in place that will allow for those necessary improvements and allow for a safe and healthy environment for our school children. 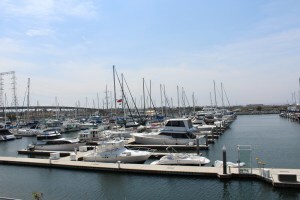 4) Do you support more industrial uses or public recreation at the National City Bayfront? JOSE RODRIGUEZ: I support both. I believe that good, union jobs are necessary for the middle class within National City to grow; and port jobs are generally good jobs. But the Port is public land and must be open to our residents to enjoy. LUIS NATIVIDAD: I will support a balanced land use plan that will accommodate added recreation usage and commercial businesses, as well as the existing businesses now operating on the premises. CANDY MORALES: It is important to gain community and business consensus as to the future use of our National City Bayfront. I encourage building a coalition towards the future development of our Bayfront, to include, but not limited to, community members and key stakeholders. I am in support of public recreation at the National City Bayfront. Supporting further industrial use puts our community’s public health at further risk. Our Bayfront has immense potential to be an attractive destination point, helping to modernize our city, attract new businesses, increase employment opportunities, and generate revenue. 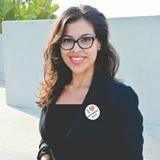 ALEJANDRA SOTELO-SOLIS: National City residents deserve access to the waterfront with amenities that allow for the balance of recreational activities (both active and passive), commercial (restaurants and storefronts) with the working waterfront, which provides necessary jobs and revenue to the region. As a councilmember I have voted for and advocated for transparency and open communication with the port to bring about a plan that is fiscally responsible, environmentally sound and continues to bring about the necessary resources and amenities to our community. Those amenities include: new technologies and transportation options to and from the center of our city, gateway signage and potential for responsible short and long-term job creation in our city and region. 5) As the second oldest city in San Diego County, should National City focus more on tourism, affordable housing or the problems of pollution? JOSE RODRIGUEZ: Because we have very high unemployment, poverty and asthma rates, we do not have the luxury to focus solely on one issue. I believe we must ensure good jobs and higher wages. At the same time, we need to make decisions that will positively impact our environment. LUIS NATIVIDAD: In regard to affordable housing, it is important, but it must fall into balance with land use planning. As stated previously, environmental issues are a priority as well. CANDY MORALES: There is a need to responsibly focus on all these issues. Addressing problems of pollution and its impact on our community’s health, providing affordable housing, and focusing on tourism are all significant. Pollution is a public health issue that has negatively impacted our community. Currently, National City is home to polluting industries. Reported cases of asthma-related hospitalizations are higher in National City than the County average. National City is currently working with the Environmental Health Coalition to bring awareness and target concerns. ALEJANDRA SOTELO-SOLIS: It’s a balance of all of the above and I believe the Westside Infill Transit Oriented District (WI-TOD) housing is a great example. My proudest action as a council member was voting for the Westside specific area plan (the community where I grew up). This vote created a working document that aimed to eliminate toxic polluters from our Old Town community, identify healthy housing options for our working class community and opportunities for future compatible development. This past spring, we held the groundbreaking for 200+units, adding new housing options to our aging housing stock, empowering our National City residents to have affordable housing options for the future and allowing the City to highlight our beautiful, natural resource–Paradise Creek. This housing is an anchor for the Westside and is proving to be a catalyst statewide. National City was the first in the state to include an Environmental Justice element in our General Plan. I was proud to spearhead that effort on the dais and I have continued to worked with statewide agencies to encourage the use of the Environmental Justice element in other communities General Plans, especially those impacted by incompatible uses and development. How many council seats are the six candidates vying for? Jerry Cano and Alejandra Sotelo-Solis’ terms are up. You’ll be able to vote for two candidates.